I'm never as patriotic as I am when I'm reading a Captain America comic book, preferably one written and drawn by Jack Kirby. 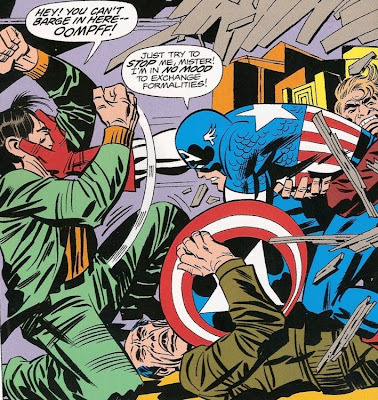 That's not so surprising considering that one of the seminal moments in my comics reading life was devouring Jack Kirby's Captain America's Bicentennial Battles as a 9-year-old in the American bicentennial year of 1976. I've always been fairly liberal thanks to my mother, her father -- think a F.D.R.-loving, Jimmy Carter-voting Archie Bunker -- and my biological father, but that liberalism always came with an understanding that pointing out my country's mistakes was not the product of some kind of hatred of America but, rather, the necessary reminder that our leaders were not following our own American ideals. Now I'm not going to get all political on you guys but it's important to note that I have no problem waving the flag with Cap but I do have a problem blindly waving the flag every time one of our leaders makes an empty speech. Or lands on the deck of an aircraft carrier dressed up as a pilot. 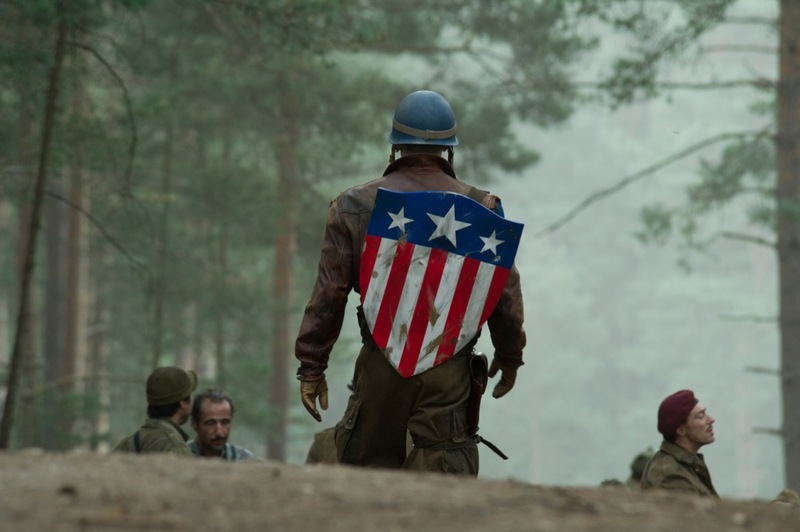 My first concern with the new Captain America film was that it was going to be set in World War 2. 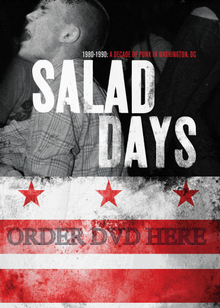 After watching the masterful theatrical trailer about a dozen times, I can say that my worries are gone. 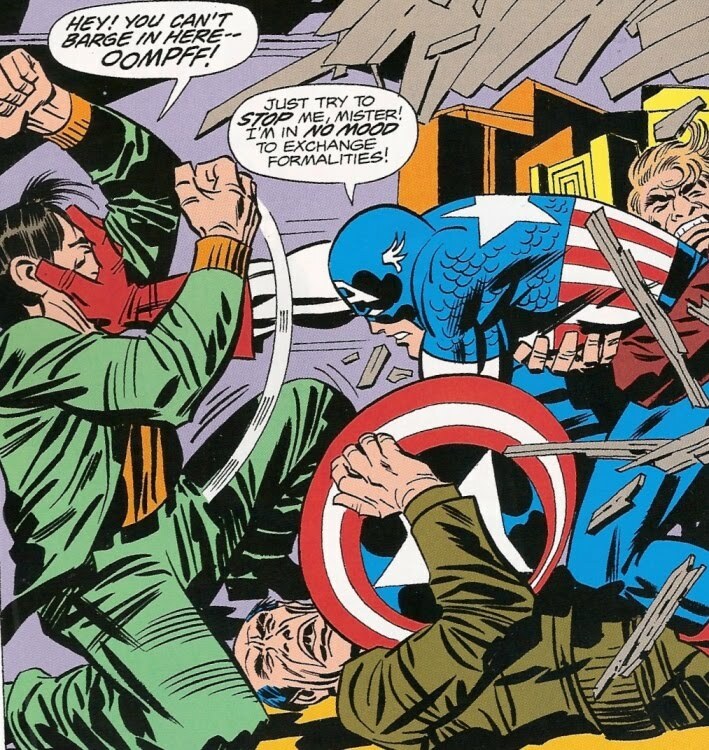 Setting the film in World War 2, with Cap fighting both Nazis and the hordes of HYDRA, will allow things to be suitably patriotic without being silly or too jingoistic. 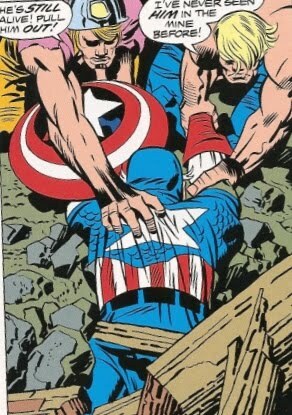 I'm assuming that the film will end with some kind of transition from Cap's "death" in World War 2 to Cap being unfrozen from a block of ice in the modern era, setting the stage for The Avengers (2012) film. 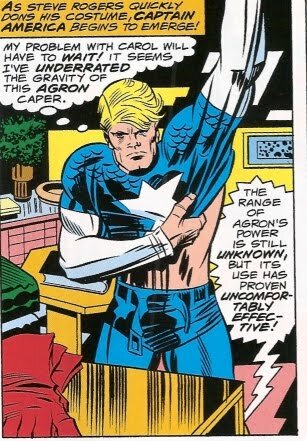 The 1970s Captain America was always a man out-of-time, with Kirby portraying the guy as a sort of overgrown Boy Scout. And that's okay. I liked that wide-eyed quality of the character in those comics. Not every superhero gets to brood, or even needs to. So will the film be sufficiently light in tone to bring that quality to the screen, or will the makers try to make Captain America and Steve Rogers mysterious and complex? Rewatching parts of Joe Johnston's The Rocketeer (1991) on cable this weekend, I was reassured that the director knows how to be serious and silly in the same film. As others have noted, the thing should have a sort of Indiana Jones vibe to it without sacrificing a real sense of outrage and horror about the Nazi menace. Now my only problem is the gun Cap's firing off in the trailer. I am a liberal but I'm also sort of a supporter of limited gun rights in this country. 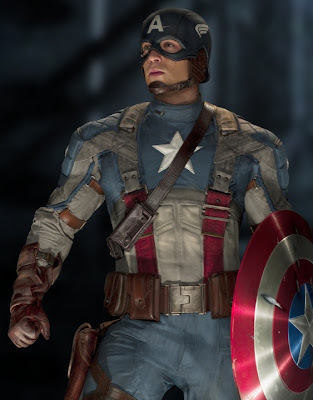 But there are just some characters -- Batman and Captain America, obviously -- who don't need to use guns. 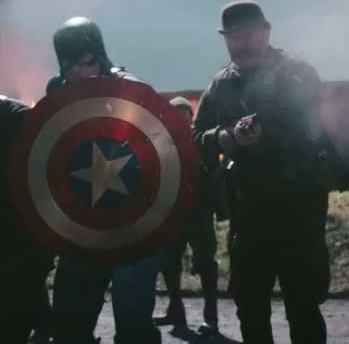 I understand that some recent issues of his comic book feature the guy with a gun, and I realize that Cap is leading a bunch of commandos here, but it still vaguely bothers me. 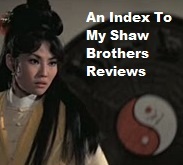 Apart from that, I was more than pleasantly reassured with the tone and look of the film as seen in the trailer. 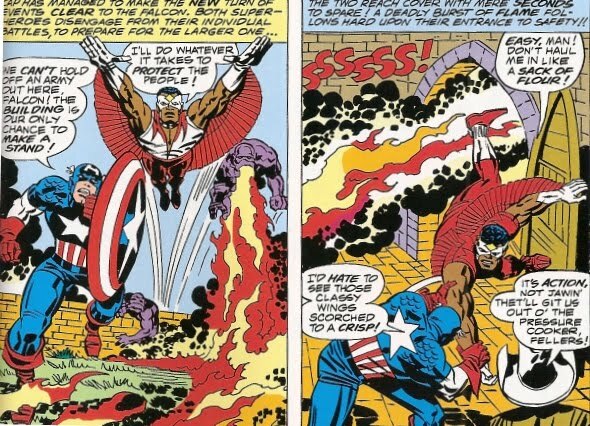 I may not ever get a Captain America film with The Falcon -- set in 1976, 'natch! -- but I think I'm going to be a happy Marvel fan at the movies this summer. 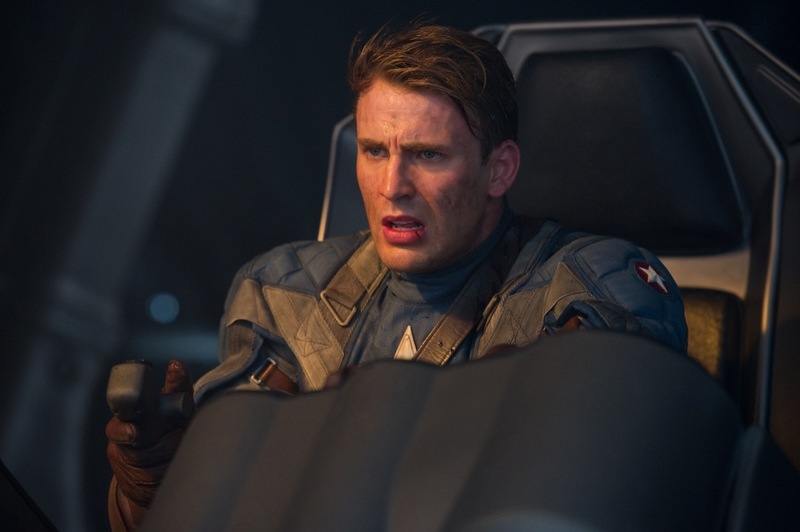 Come July 22 -- probably at midnight the night before -- I'll be in line to see Captain America: The First Avenger (2011).